As this book goes out, my sincere prayer is that the readers will be blessed and strengthened by reading and studying this material as I was in preparing it. The preparation has made a tremendous difference in my own understanding of prayer. 1. "Our Father which art in Heaven"
2. "Hallowed be Thy name"
4. "Thy will be done on earth as it is in Heaven"
5. "Give us this day our daily bread"
6. "Forgive us our debts as we forgive others"
7. "Lead us not into temptation"
8. "Deliver us from evil"
9. "For thine is the kingdom, and the power, and the glory forever"
Both Martin Luther (1483-1546) and John Wesley (1703-1791) stressed the importance of following the pattern. Luther said, "The Lord's Prayer is the highest, noblest, and best prayer; all other prayers shall be suspected which do not have or contain the content and meaning of this prayer." A disciple is a learner. If followed in a spirit of spiritual exploration, these very practical studies will lead believers into exceedingly rich and powerful communication with the Heavenly Father in a "Sweet Hour of Prayer." 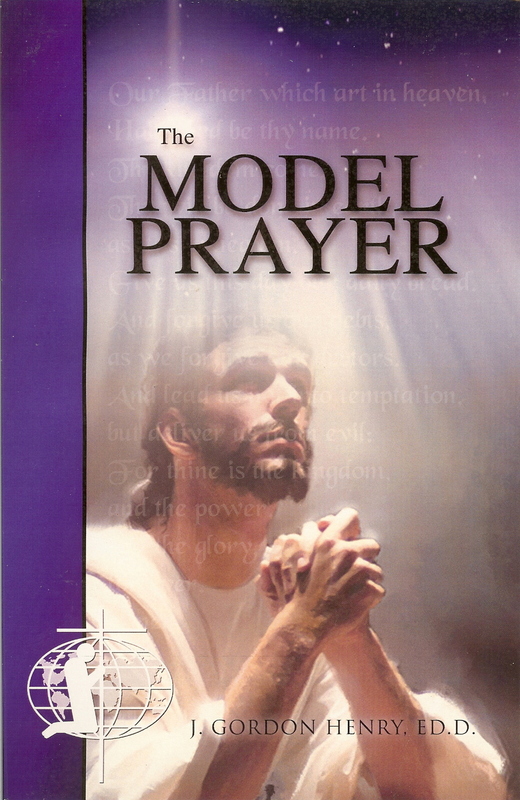 The Model Prayer is an appropriate place to begin for those who want to learn to pray. The prayer is so comprehensive that Archbishop William Temple said: "It is the prayer you will offer if you love God with your whole heart." As this book goes out, my sincere prayer is that the readers will be blessed and strengthened by reading and studying this material as I was in preparing it. The preparation has made a tremendous difference in my own understanding of prayer. I believe the same will be true of those who are ready to move upward and onward to newer vistas in their own daily time with God. This book is meant as practical help for people who want to grow in prayer. Study may be on an individual basis or in a group.